The Remote Gambling Association actively supports the correct regulation of the gambling industry - Casino Inside - The gambling industry magazine! Odeta Nestor, the former President of the National Gambling Office (ONJN) and incumbent President of the Remote Gambling Organizers’ Association (AOJND), expressed concern about the future of this industry as long as the market regulations remain unpredictable. You are invited to read a very interesting material and see what actions and measures are needed to keep the future of the gambling industry under favorable auspices. Ever since its founding the AOJND has been actively pursuing the interest of the online gambling operators. What were the main challenges for your Association? Odeta Nestor: The past one and a half years have brought a series of events, challenges, but also achievements for the Remote Gambling Organizers’ Association. The promotion and protection of the Romanian remote gambling operators’ rights and interests; the creation of a competitive environment on the remote gambling company market; supporting the Authorities to perfect the regulatory framework as well as developing this field in a responsible framework, to the benefit of the public and the Romanian economy, are just some of the challenges AOJND had to face, which have remained on our current agenda. What is the status of advertising in the online operators’ view? Odeta Nestor: All I can say is that the AOJND has actively attended all the National Audiovisual Council (CNA) meetings, proposing amendments for the purpose of allowing Gambling advertising after 8:00 p.m., in the context of live-feed sports events. We submitted a memorandum to the CNA arguing in favor of the requests coming from the online gambling operators relating to the approval of advertising during sports events, with clear delimitations as to the time slot – before and after the sports event. I personally attended all the CNA meetings – formal or informal – to argue in favor of our requests and to explain that this was a regulated and controlled industry. CNA’s concerns were, and are still, regarding the access of minors to the online games promoted on TV. As you may know, the age of access is restricted to a minimum of 18 years under the law, and the online operators have multiple tools to control and restrict the access of the minors to the services provided by the gambling platforms. There are entire departments, just as are extremely stringent procedures to restrict the minors’ attempts to play on gambling platforms. We are expecting the National Audiovisual Council to issue a final decision, which will rely on the proposals submitted and on their own analyses. Given the changes to the Council’s structure, the final vote on the amendments to the Code will be most likely delayed as these amendments bring novelty not only in the gambling industry, but also with regard to the advertising made in other sensitive areas. The end of 2018 has been strangely marked by the Government, which approved a Government Emergency Ordinance that had a substantial impact on the gambling market. How do you comment the legislative changes in this industry? Odeta Nestor: Article 53 of the Government Emergency Ordinance 114/2018 states that, since 1 January 2019, the online gambling organizers provided under the Government Emergency Ordinance no. 77/2009 on the organization and operation of the games of chance, approved with amendments and supplementations by the Law no. 246/2010, as further amended and supplemented, have an obligation to pay a monthly fee amounting to 2% of the participation fees collected each month. It follows from the Article 53 para. 1 that, for charging this new fee, the lawmaker is relying on the participation fees collected by the gambling operators, so this fee will be charged, there is no doubt about it, at the value of the financial deposits made by the players. Another novelty brought by the end-of-year’s amendment is the regulation of the Foundation and the clarification of the payment method to same. It was decided that the fee to the Foundation would be collected since 2015 until present time. What can you tell us about the participation fee imposed on the online gambling operators? Odeta Nestor: Article 4 of the Government Emergency Ordinance 77/2009 defines the participation fee as the amount charged by the operator to the participant, directly, in exchange for the right to gamble. In my opinion, in the online gambling activity, the payment of the participation fee is considered made on the remittal (transfer) of the money to the account of the organizing company, namely when the player deposits the money / makes a deposit. In this way, there will be no payment without a collection, which, in the light of the previous definition, consists in receiving a sum of money or a consideration within the scope of an obligation. As far as online games are concerned, collection is made on receiving the sum of money (the participation fee) in exchange for the right to gamble. The only money transfers from players to operators will operate when the deposits are made, namely when the money are wire transferred to the account of the operator, or in cash, by the payment processors. What is ONJN’s take on the legislative changes in force? Odeta Nestor: The provisions of the Government Emergency Ordinance indicate that the President of the National Gambling Office will issue an order setting the calculation method for the new remote gambling fee. Given the wording in the Emergency Ordinance, which expressly provides that the 2% fee will be charged from the monthly participation fees the operators may collect, this order will most certainly state, clearly, that the calculation basis for this fee is made of the monthly deposits made by the players through transfers or other methods of depositing money in the gambling accounts. I shared this view with the Authority, within the Advisory Committee, where I explained to them that, in my experience, and after discussing this with the Government officials during the amendment process, if the lawmaker had wished to impose a fee on the operators, it would have raised the percentages of the licensing fee, like they did with the landbased. This interpretation is supported not just by the wording of the Emergency Ordinance, but also by the principle according to which, in case of doubt, a legal provision should be interpreted in the sense most likely to have legal effects, not in a fashion that would render it inapplicable. 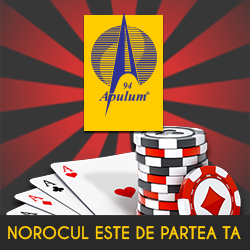 Therefore, if this fee did not account for 2% of the players’ deposits, as detailed above, and were interpreted in any other way, this interpretation would cause – with some products such as poker and other casino products, at least – this fee to exceed the entire profit of an operator in Romania for a specific product. This would cause an utter lack of viability for the activity of, and the products provided by, the operators. Furthermore, any other interpretation would clearly breach the constitutional principle relating to the fair nature of taxation (according to it, the taxation system should be proportional, reasonable, equitable, and should consider the taxpayer’s ability to pay their tax duties). We are talking about a distinction between the acceptance of stakes on the online gambling platforms and the participation fees, how do you see this transfer between the participant and the operators? Odeta Nestor: The intended purpose of the money transferred by the participants to the online gambling operators is predetermined and consists in paying in exchange for the right to participate in a game of chance, which means the companies are not allowed to make deposits for any other purposes. On the other hand, as soon as the money has been wire transferred to the account of the company, the player will no longer have that money, only their equivalent value, with which their gambling account will be replenished. The acceptance of stakes on the online gambling platforms comes after the money is deposited and is dependant on the fulfilment of this preliminary requirement, but also a distinct action which is not likely to impair the amount of the participation fee the operator may collect. Article 130 para. 3 of the Methodological Rules is relevant in this respect; according to it, the stakes registered on a platform are not treated as participation fees: The gambling operators will accept stakes from the players only if their gambling accounts hold sufficient funds to cover them. In other words, the lawmaker did not make the acceptance of a stake conditional on the collection of the equivalent thereof, but, rather, on the existence of available equivalent funds in the gambling accounts, which may be replenished with deposits made by the participants or funds transferred after the gambling requirement has been met. What does AOJND plan to do about it? Odeta Nestor: As President of the Association I represent, our members and I will continue our actions before the Institutions authorized to protect the interests of the online gambling operators, but, of course, just like before, I will try to strike a balance between the needs and requests of the State and the needs of this type of activity. In my four-year experience with this Office I have learned that only a fair regulation of this industry is likely to create a favorable environment to the three parties involved: the players, the authorities and the private environment. The players will be protected and there will be no escalation into social problems; the authorities will be able to monitor, control and collect the fees for the state budget, while the operators will operate on a steady market that will encourage even more investments.